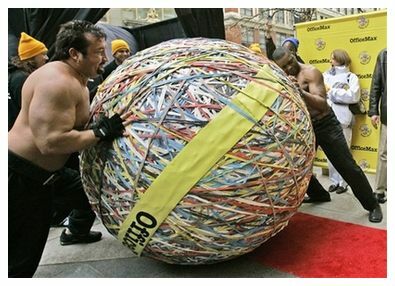 Milton, 26, of Eugene, Ore., watched as four bodybuilders rolled the multicolored, rubbery mass — 5 1/2 feet high and 19 feet around — onto a giant scale in downtown Chicago for the official weigh-in. He raised his arms over his head in Rocky-esque style when Guinness judge Sarah Wagner announced his ball had bounced the previous 3,120-pound record-holder from the books. That record was set by John Bain of Wilmington, Del., in 2003. After introducing the world to new soda flavors like fish taco and salmon, Seattle specialty beverage maker Jones Soda Co. is offering a new flavor: Green pea. Green pea, along with other unusual sodas such as turkey and gravy, dinner roll, sweet potato and antacid flavor, will be part of the company’s $10 to $15 “holiday pack” of bottled drinks available nationwide. 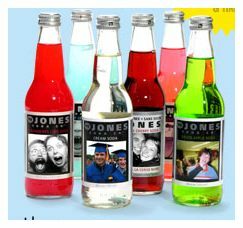 Peter van Stolk, chief executive of Jones Soda, said on Monday the collection of strange-flavored sodas usually sells out quickly, even though he can not stomach the drinks. Past flavors included broccoli casserole, corn on the cob and Brussel sprout. “Why people buy it is beyond me. I can’t drink a bottle of this stuff,” said van Stolk. Hearty feasts and couch-potato marathons are holiday traditions, but UT Southwestern Medical Center experts warn that packing on pounds and not exercising could be deadly for the 6 million Americans who have diabetes and don’t even know it. Endocrinologist Dr. Manisha Chandalia warns that packing on pounds and not exercising during the holiday season could be deadly for the 6 million Americans who have diabetes and don’t even know it. Diabetes, a metabolic disorder linked with obesity, can be a silent killer because its symptoms aren’t sudden, but build up over time and lead to heart disease or other maladies. That’s bad news for those with undiagnosed diabetes. In the summer of 1957, Fritz Fend was at the helm of his own company and was ready to produce his masterwork. His far-reaching concept was to produce a super Karo, in all respects superior to the three-wheeled scooter, particularly in terms of speed and handling. Fichtel & Sachs, suppliers of the trusty Kabinenroller motor for years, had drawings lying on the shelf for a 400cc two-stroke, two cylinder stationary engine. This was increased in displacement to 494cc and fitted with a four speed and reverse gearbox. It was mounted in a very advanced Formula One-style subframe incorporating a fully adjustable rear suspension. Wheels and front suspension arms were increased in size, as were headlamps and brakes, which were now modern hydraulics. The large, plush pilot’s seat was needed to handle the phenomenal cornering power of this amazing vehicle. In September 1957, Fritz Fend presented his crowning achievement, the F. M. R. “Tiger” sports vehicle, to sensational acclaim in Germany. Its British debut is still the stuff of legend. Developed as a proper sports car but with an underdeveloped motor, it found a place with enthusiasts but not the general public. The “Tiger” name was owned by Krupp, so it was changed, supposedly to “Tourenfahrzeug-Gelandesport”, or touring vehicle-cross-country sports, but the contraction fooled no one. 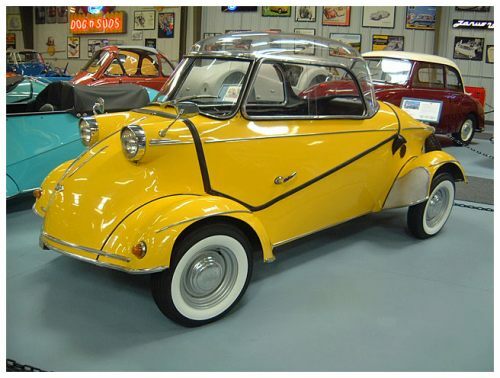 The above photo and text are from the Microcar Museum site. If you are interested in these unusual vehicles be sure to check out this site. There are lots more. A man carried on sleeping as a 35ft tree crashed into his home. 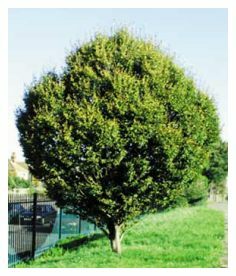 The beech tree fell into Oscar Henriques’ spare room in Exeter, Devon at 3am – just feet from where he slept. He was only woken when police woke him with constant phone calls an hour later. The repairs to the house will cost thousands, reports the Sun. November 21, 2006 Posted by oldstersview | Uncategorized	| Comments Off on Sound sleeper! Military police in a Brazilian city are suing a school gym teacher for teaching his students to play football [soccer]. They complain the footballs always land in their car park, damaging cars, O Dia newspaper reports. Better they should be out mugging citizens?